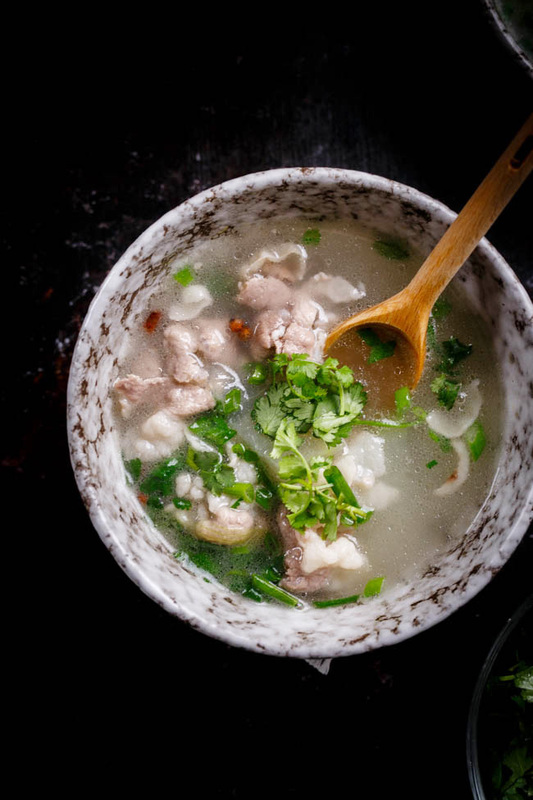 You only need one bowl of lamb soup to warm up the cold body. 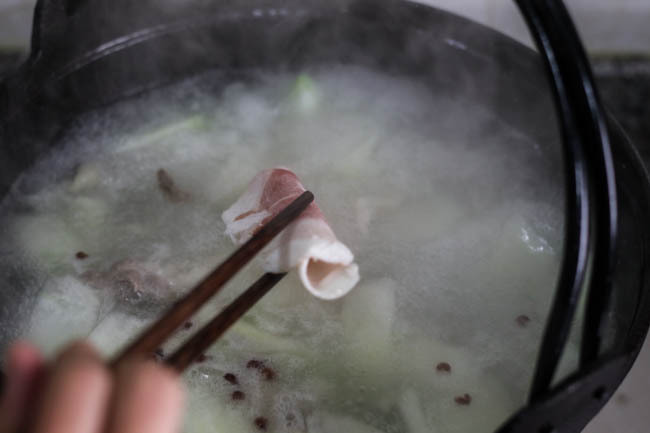 It is our custom to eat lamb in winter especially for Winter Solstice Festival(冬至) in Sichuan area. Roasted lamb, lamb stir-fry and the star dish-lamb soup are popular on almost every food street. 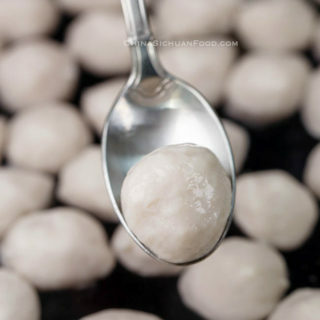 To celebrate Winter Solstice Festival, people in Northern China prefer jiaozi (Chinese dumplings). 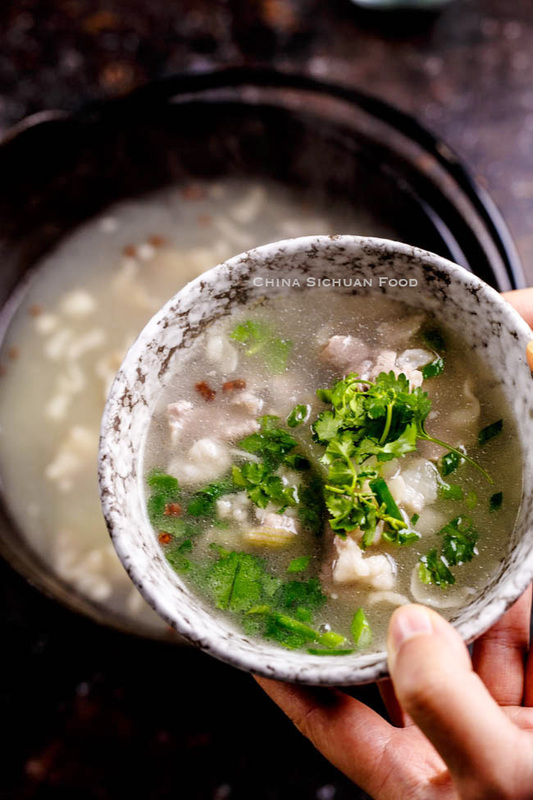 This winter melon soup with sliced lamb is a super easy soup, which can be done within 20 minutes but creates a very similar result to real “lamb soup”, made from lamb ribs or legs. 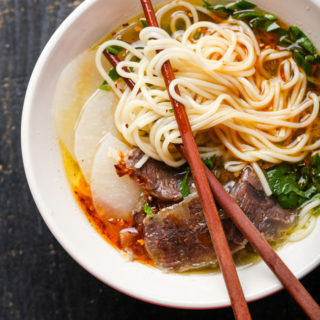 To make the lamb soup yummy instead of smelly, we need large amount of coriander and green onions, especially fresh corianders. 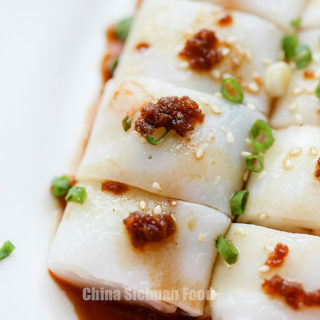 The best partners of lamb for me are white radish and winter melon. 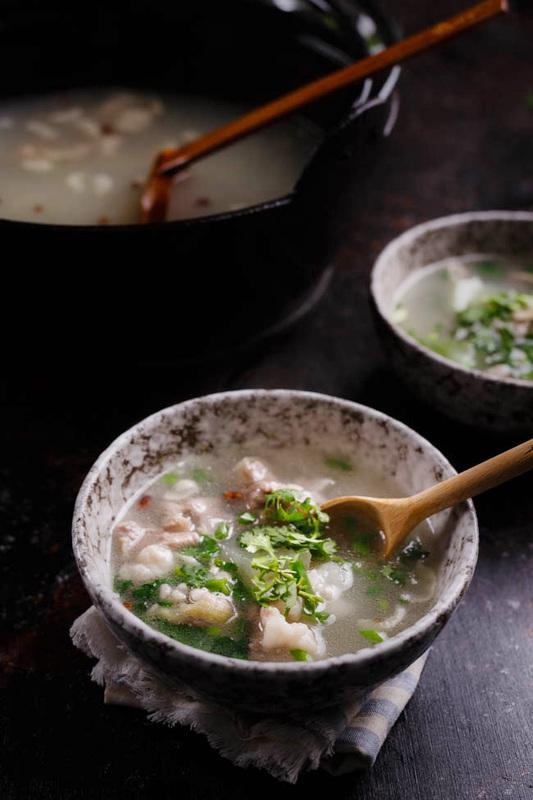 They can cooperate with the fat and bring a slightly sweet taste to the soup. 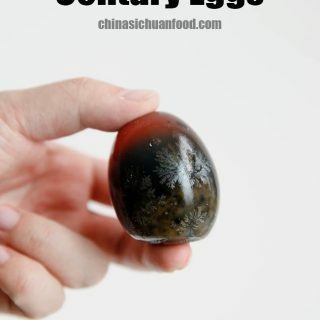 Winter melon also known as Ash Gourd is quite popular in China. We grow several winter melon vines almost every year when I was young. I did not like it previously when we were not so rich in food especially meats. Winter melon usually was in large size and we might have it on dining table for several days. And what’s worse, there is no unique or special taste of it when cooked alone. However this healthy melon turns into an extremely yummy vegetable when cooked with meats including lambs, meatballs and ribs. 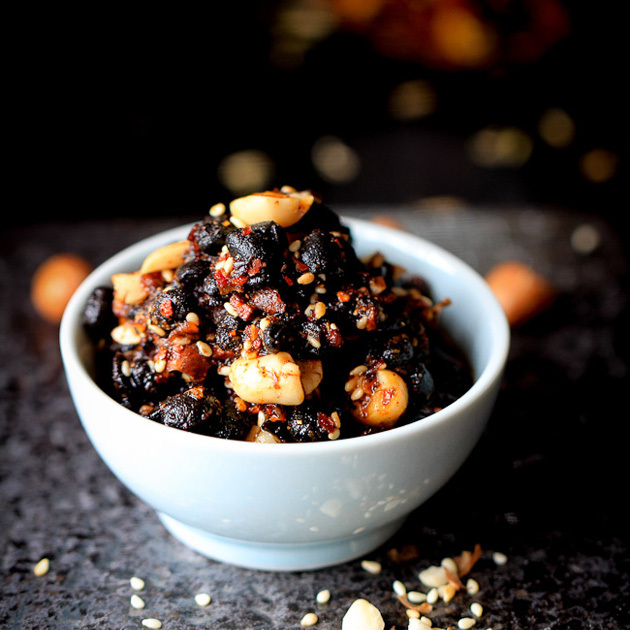 With this recipe, I am combining two ingredients but they works so great together so I just cannot judge which one is better than the other. But the best part should be the soup. 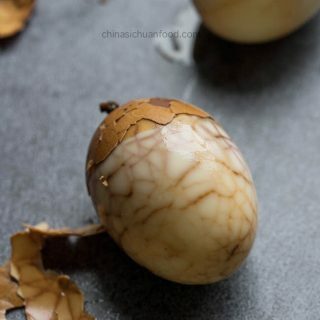 Although it may seem quite weird but the amazing taste will pay all of your efforts and courage off. 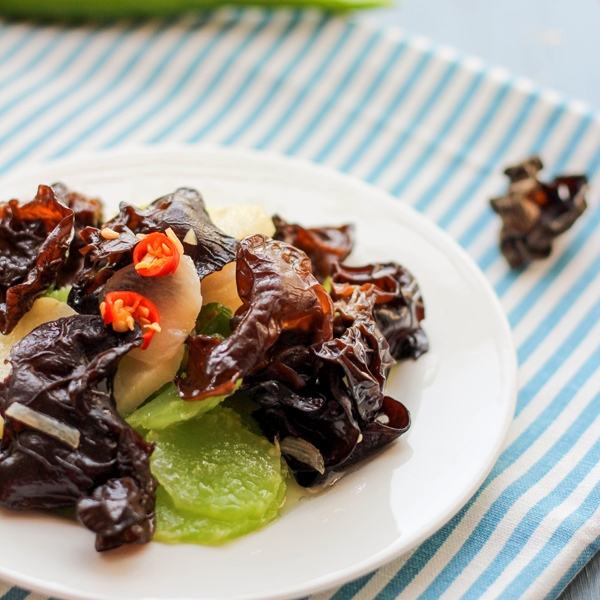 Peel the winter melon and cut into small pieces. 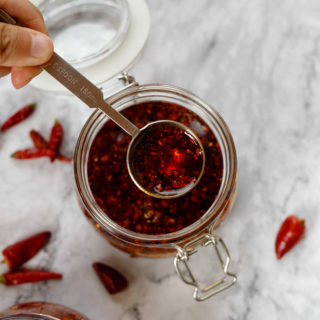 Heat up cooking oil in a soup pot and fry the Sichuan peppercorn over slowest fire. 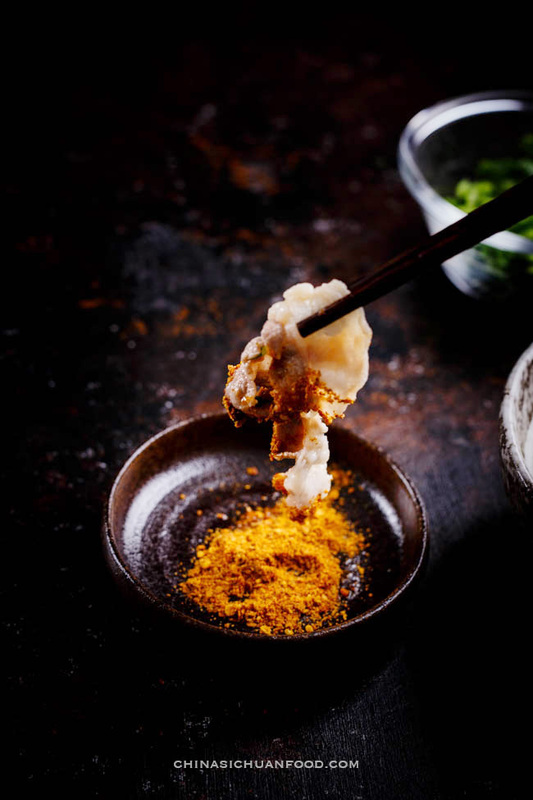 Place ginger and scallion in and fry until aromatic. Add 3-4 pieces of lamb in and slightly fry for 1 minute. 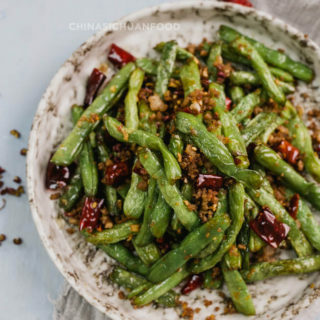 Use slow fire during the process and do not get the Sichuan peppercorn burnt. Add winter melon and water. 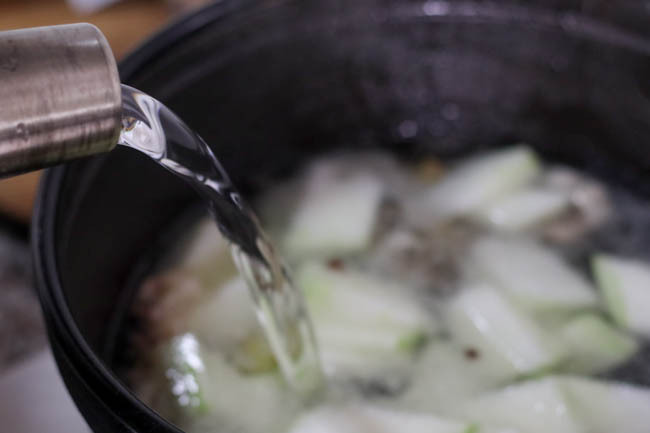 Simmer for 15 minutes until the winter melon becomes soft. 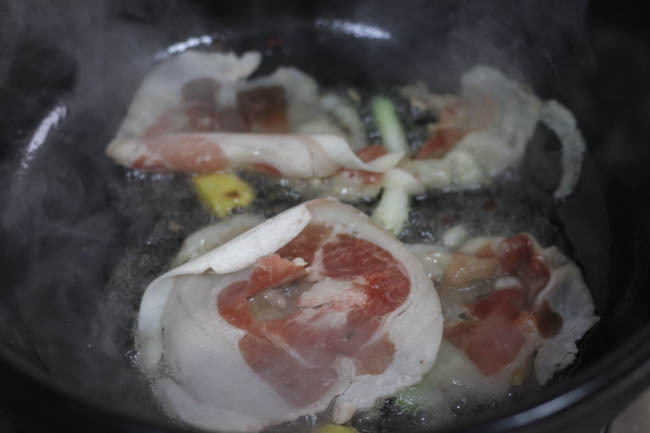 Place the remaining lamb pieces in and season with white pepper and salt. To serve the soup: serve with green onions and corianders. Add a small grasp of green onion and coriander in the bottom of the serving bowls and then scoop the soup in. That’s how the soup should be served. The lamb slice itself might be slightly plain, without any particular taste. Dip the lamb with a dry mixed spices. 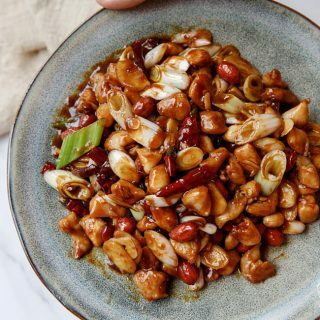 Heat up cooking oil in a soup pot and fry the Sichuan peppercorn over slowest fire. 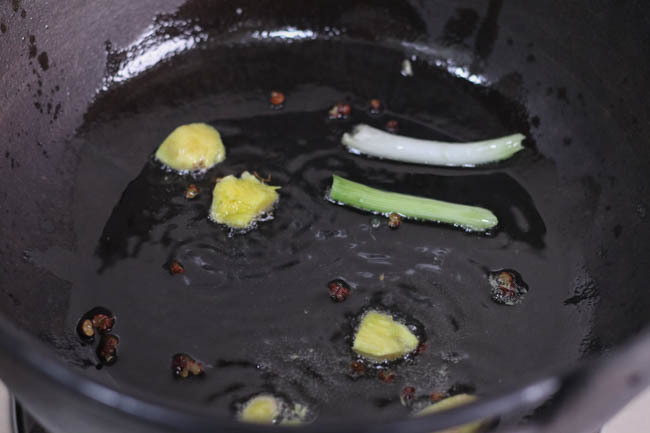 Place ginger and scallion in and fry until aromatic. Add 3-4 pieces of lamb in and slightly fry for 1 minute. 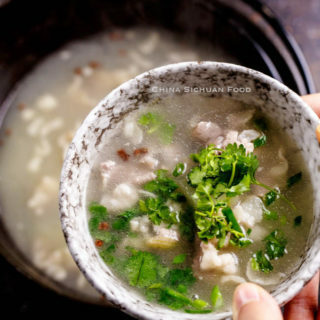 Add winter melon and water, simmer for 15 minutes or until the winter melon becomes soft. Place the remaining lamb pieces in and season with white pepper and salt. To serve the soup: serve with green onions and corianders. Add a small grasp of green onion and coriander in the bottom of the serving bowls and then scoop the soup in. To serve the lamb slices: mix the spices and serve as a dry dip. The lamb..should it be 500 gm, instead of 50 gm? I use sliced lamb, very thin slices. So 50g should be enough for this recipe.